Having worked as a psychotherapist offering couples therapy for years, and having been in a long term, committed relationship for a few decades myself, I know what intimacy can dredge up in us. Actually, it is fine, so long as it stays healthy. It is when we can’t reflect and learn and grow from the pressure and reactivity that it can eventually cause a rift that is very difficult to heal. For myself, I have always sought out support for the conflicts that sharing a life with another person can bring up. Old family of origin patterns are the basis of our reactivity, combined with the pressure that life puts on us. Add to that illness, financial challenges, environmental concerns, mental, emotional and physical vulnerability and it is no wonder why at times we react the way we do. 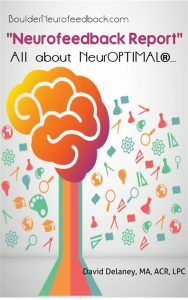 In a recent conversation with someone who does regular Neuroptimal® Neurofeedback brain training sessions, while speaking about the couple process, he shared very eloquently about his personal experience of being in a long term relationship and was able to beautifully express what he noticed since he has been doing this unique form of brain training. “Since beginning Neuroptimal, the space between first beginning an energy charged interaction with my partner and when a reactive emotion arises has widened. Decades of meditation certainly helps, but Neuroptimal has added a significant factor of increased clarity to this space. In that space, the underlying or initiating emotions have become visible. Before the anger there is often fear or sadness. Energizing the fear and sadness (there) is always caring. I have yet to see an emotion arise that is related to something that I do not deeply care about. The more deeply I care, the more intense the emotion. This occurs both for positive and negative emotions. Within the space between the deep caring and the resultant reactive emotion, I can make a choice. I can choose to focus my attention on the underlying or the resultant reactive emotion. When I choose the underlying deep caring, the true causes of my emotional reaction to the situation become clear. This clarity is a game changer. Speaking and interacting from here, opportunities for healing and closer relationship become possible as the truth of why I am emoting is in the foreground not the background. Further, my heart energy, and the wisdom that comes with it, is now engaged; which brings compassion and love to the interaction. My spouse of forty years sees, hears and feels the difference. We have become closer as the result. Of course sometimes the reactive emotion has already taken off and all this must be seen in reflection. Even then the follow up with her has become much more authentic, meaningful and helpful. Sign up if you'd like to receive our free newsletter. "Seeking an option to my disillusionment, NeurOPTIMAL® has allowed me to be the person I really am. Family members and friends too (have) noticed an improvement. I am happier, more easy going and I feel less stressed. It has allowed me to recognize and have choices in the way that I react and think, eliminating old negative patterns. Thank you." "After the first session, I felt like my fogginess and unclarity was gone. Then I started to see small changes in my adaptability very quickly, after the first four or five sessions. I work with a computer and since I had to re-learn all my passwords and how to use several of my day-to-day programs…The first positive change was that, suddenly, I was able to easily understand computer functions again and start doing things like backing up my data and using PayPal. I then simply felt like I ‘had my abilities were back’ again and my functioning really improved immensely." Pam, a woman with focus issues sustained after falling from a bicycle. "This is one of the most effective trainings I have ever experienced. NeurOptimal can help anyone overcome anything life throws at us". "Before I started with David Delaney and doing the NeurOPTIMAL® brain training, I was completely stressed and overwhelmed and it was up to an 8 to 10 everyday (10 being the highest I could imagine). Now, after 20 visits, my focus and attention are fully back . I have more good days now than bad ones and I am actually looking forward to new challenges and opportunities in my life and I could not have said this before. Life was honestly miserable and it was difficult to get out of bed in the morning, my sleep management was way off and going to work was a drag; and this was true for everyday situations and life in general. Now, I am more outgoing, out of my shell, and I actually enjoy being around other people! I now feel as though I have something important to contribute to life versus dreading life. "